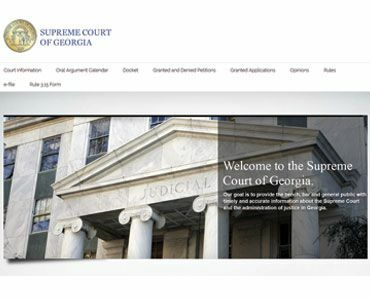 Welcome to the Georgia Judicial Gateway. 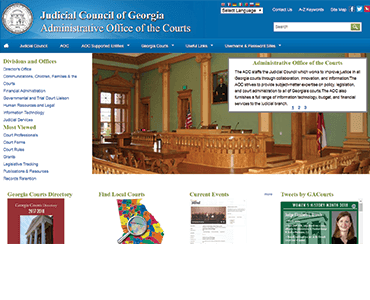 The Judicial Council / Administrative Office of the Courts has developed the Georgia Judicial Gateway (GJG) to facilitate access to numerous services provided by both public and private entities. 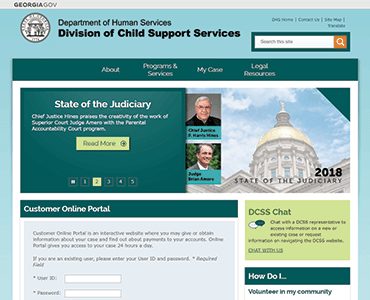 This Portal is provided to enable Citizens and Court Professionals to access Vital Judicial Services throughout the State of Georgia. Please note that authentication may be required to access certain features/functions. 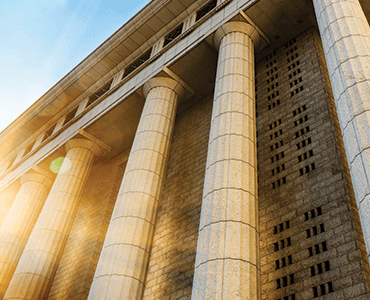 Choose from multiple filing vendors available to file in courts statewide. Search various providers for an existing case record. 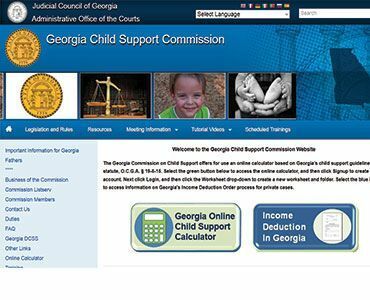 The official calculator for Georgia’s Child Support Guidelines statute. 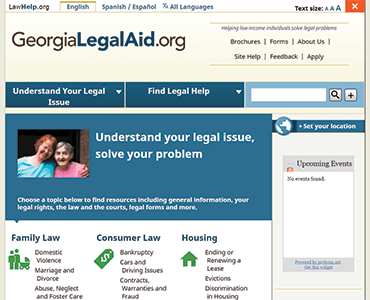 Navigate the complexities of the court system with self-help resources when you don’t have access to a lawyer. 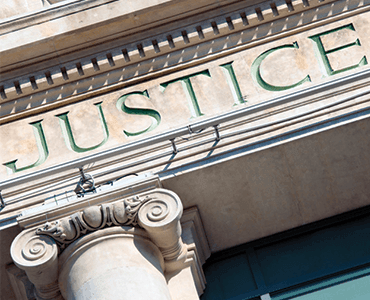 Cannot afford to hire a private attorney? Find legal representation for certain criminal and juvenile offenses. 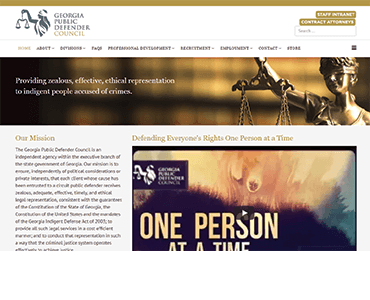 Official website of the Supreme Court of Georgia. 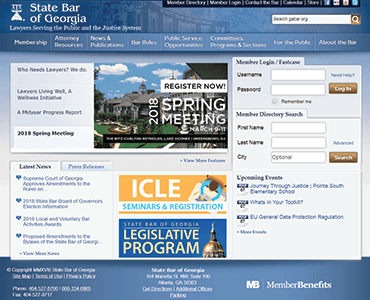 Perform online Docket Search. 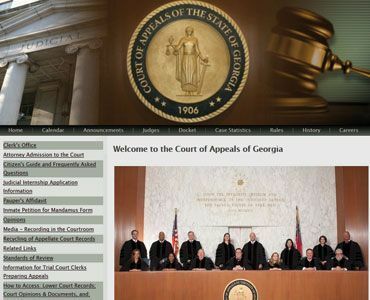 The Georgia Court of Appeals is the intermediate appellate court in Georgia. 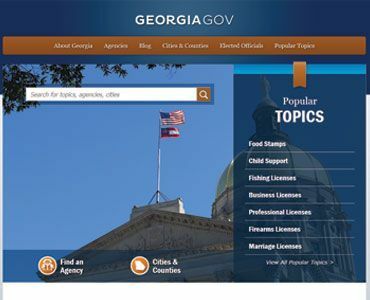 The Official Website of the State of Georgia. Search topics, agencies and cities. Forms, Files and eFiling. Search Indexes and Systems, Online Training, Useful links. 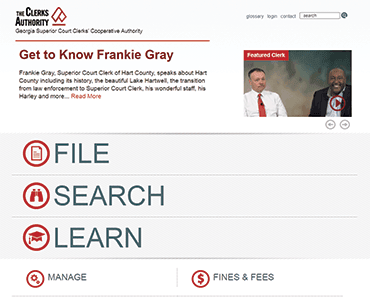 Give or obtain information about your case and find out about payments to your accounts.